This pack is filled in accordance with the Growing Media Association Code of Practice for quantity measurement. Bord Na Móna is a member of the GMA (growingmedia.- co.uk). 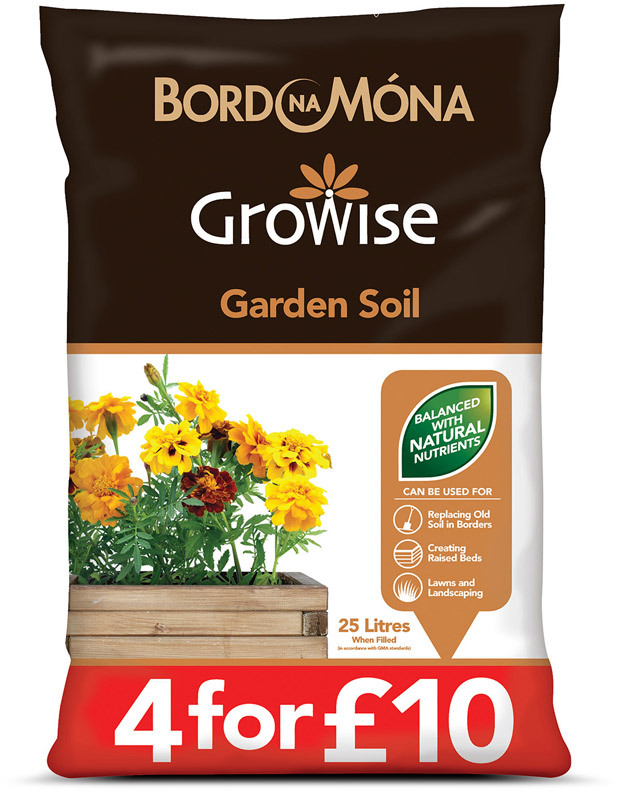 Bord Na Móna Growise Garden Soil can be used to create new gardens, beds, borders and lawns. Rich in organic matter, Garden Soil is a good source of humus, and natural plant nutrients, creating ideal conditions for a wide variety of plants. Bord Na Móna Growise Garden Soil is rich in natural plant nutrients needed for vigorous plant growth and long term soil fertility. Clear area to be planted of rocks, large stones and other debris. Fork or dig over existing soil, breaking up large clods while working the soil. Spread a generous layer (5-10cm) of Garden Soil all along the area being planted. Work well into the existing soil to create a rich bed ready for planting and seed sowing. Apply a thin layer of Garden Soil to any hollows in an existing lawn ensuring grass tips are visible. Rake or brush off any excess. Repeat every autumn until lawn is perfectly level. Ensure soil is moist and free from weeds. 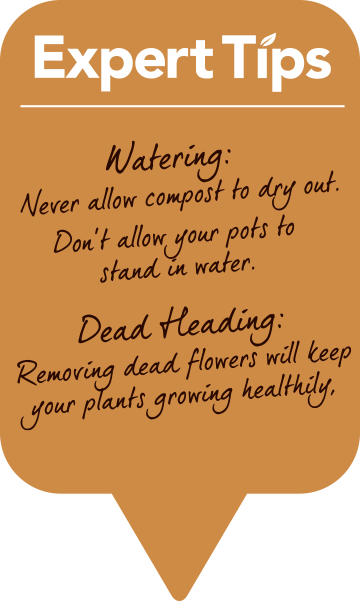 Spread Garden Soil over the soil surface to a depth of at least 5 cm. If the soil is very heavy, chalky or sandy, apply the Garden Soil at a depth of 10 cm. Dig Garden Soil into existing soil, working methodically from one end of the area to the other end. For best results this should be carried out a month before planting.